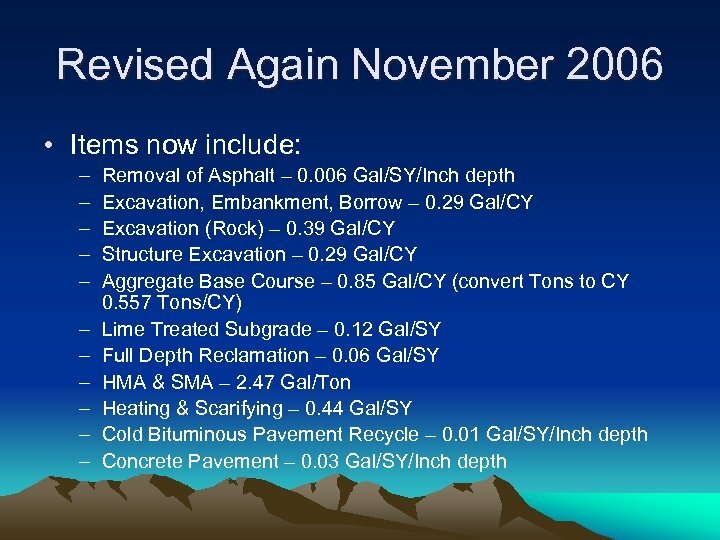 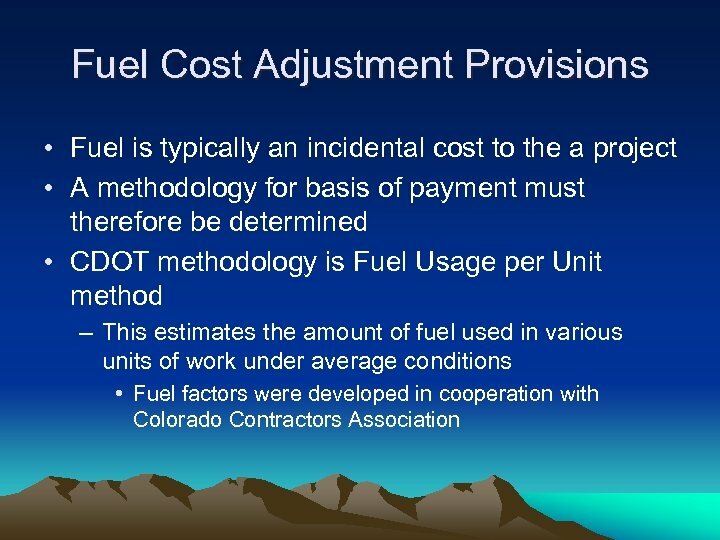 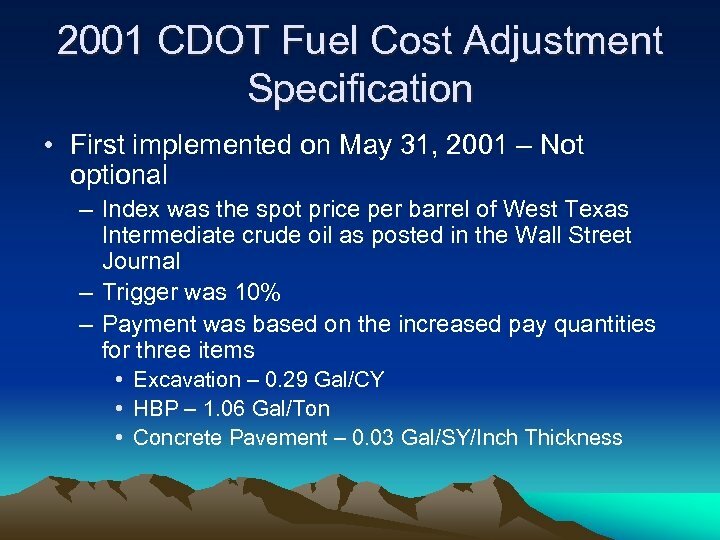 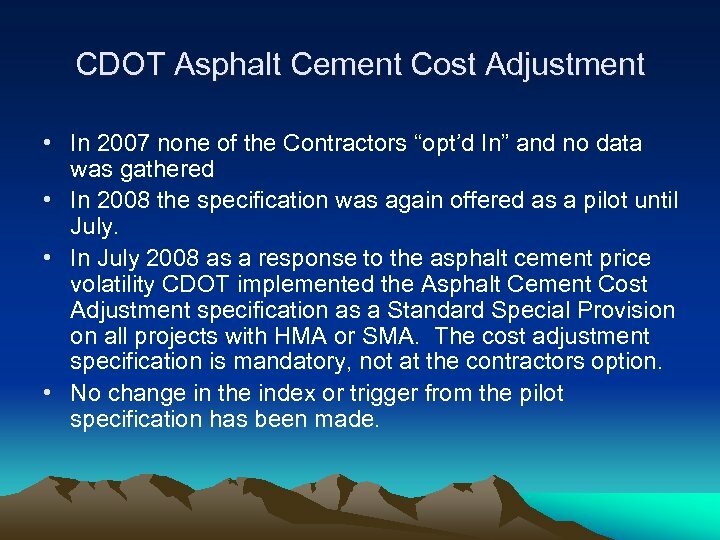 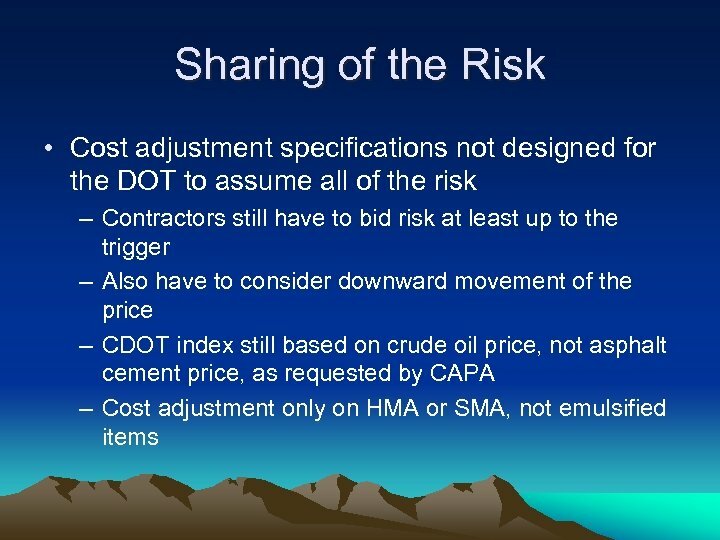 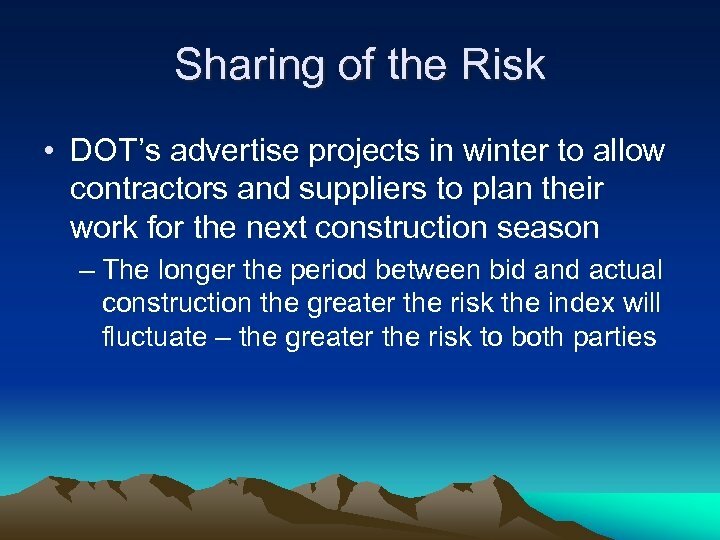 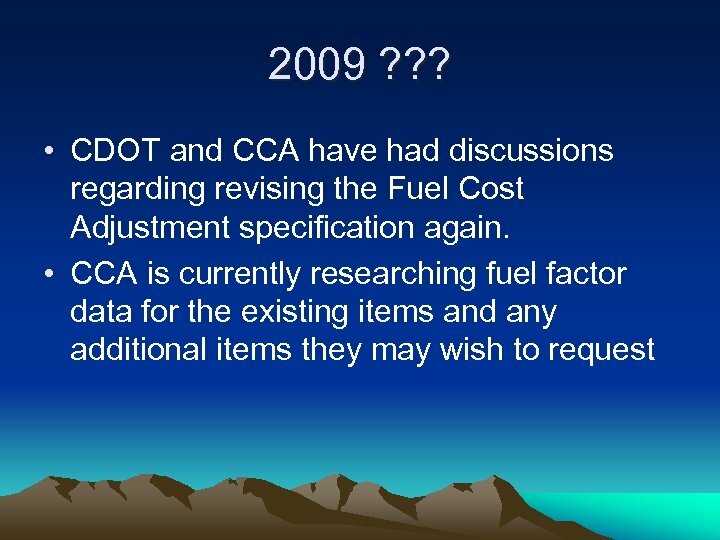 CDOT Asphalt Cement Cost Adjustment • In 2007 none of the Contractors “opt’d In” and no data was gathered • In 2008 the specification was again offered as a pilot until July. 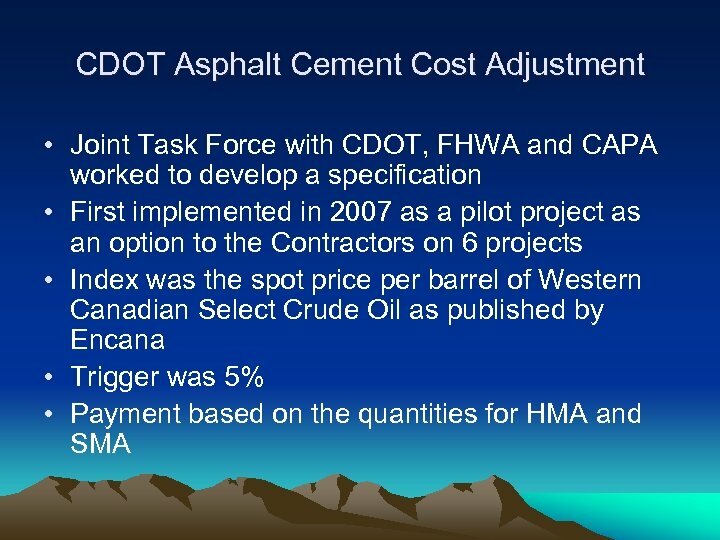 • In July 2008 as a response to the asphalt cement price volatility CDOT implemented the Asphalt Cement Cost Adjustment specification as a Standard Special Provision on all projects with HMA or SMA. 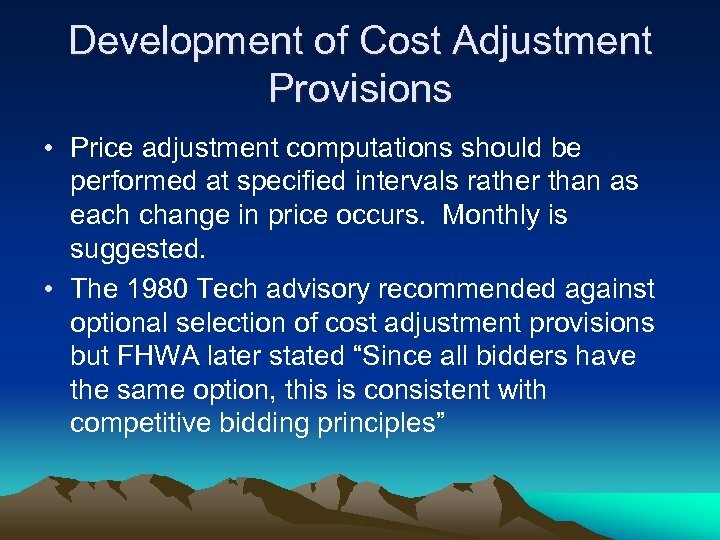 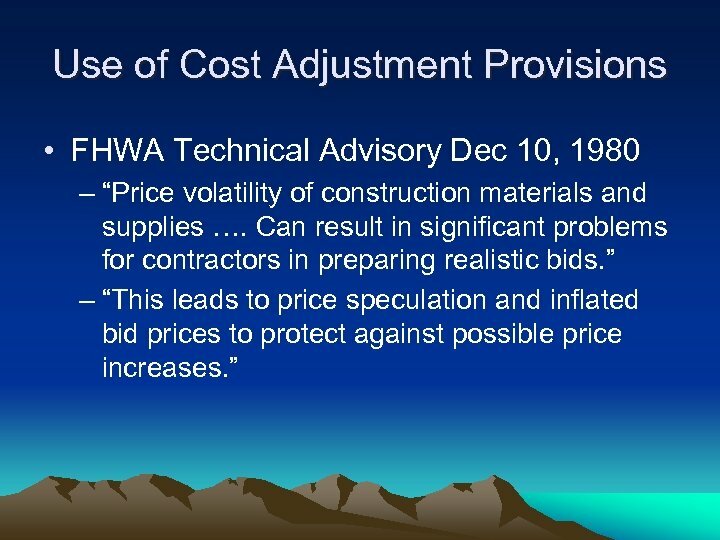 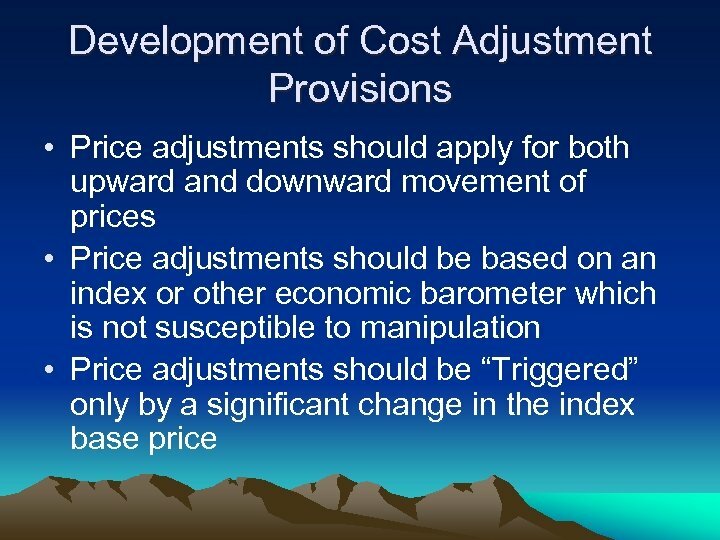 The cost adjustment specification is mandatory, not at the contractors option. 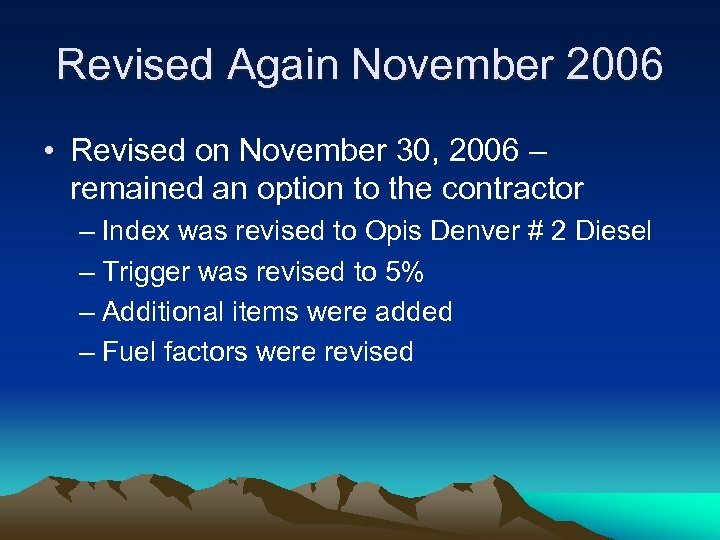 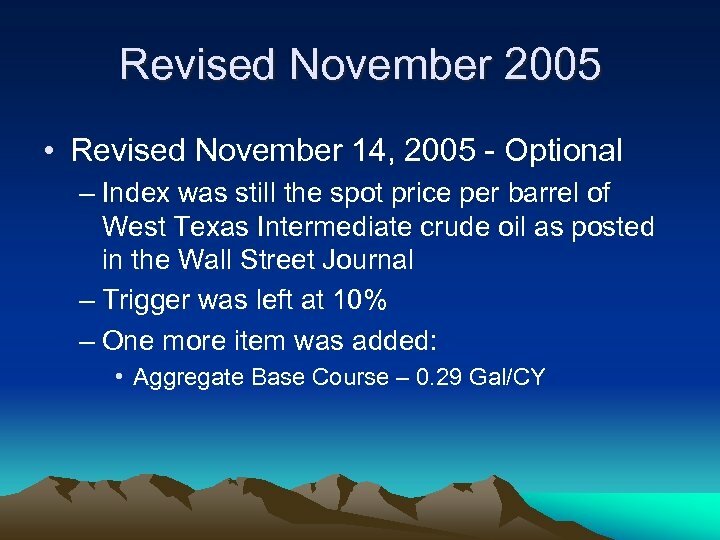 • No change in the index or trigger from the pilot specification has been made. 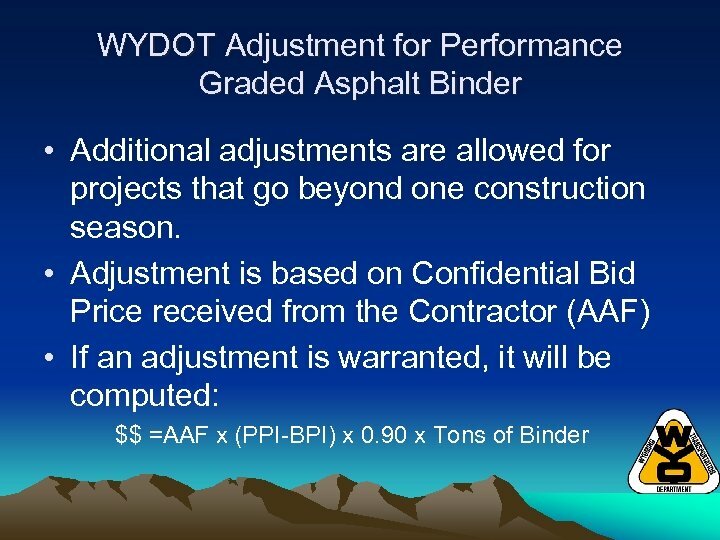 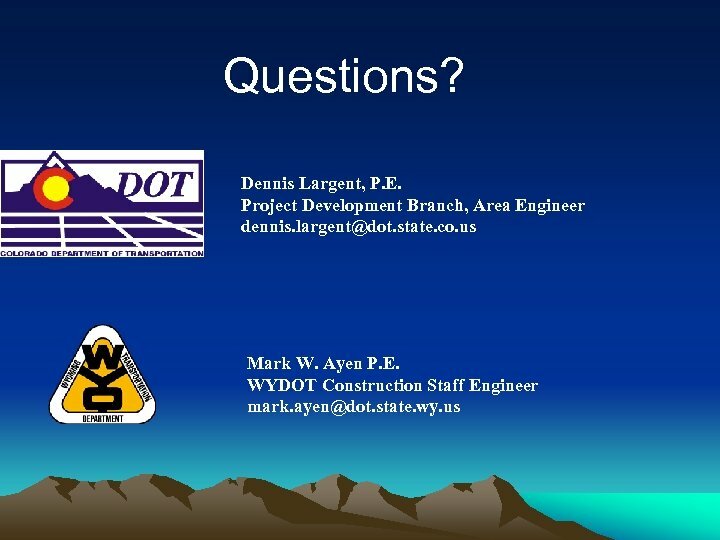 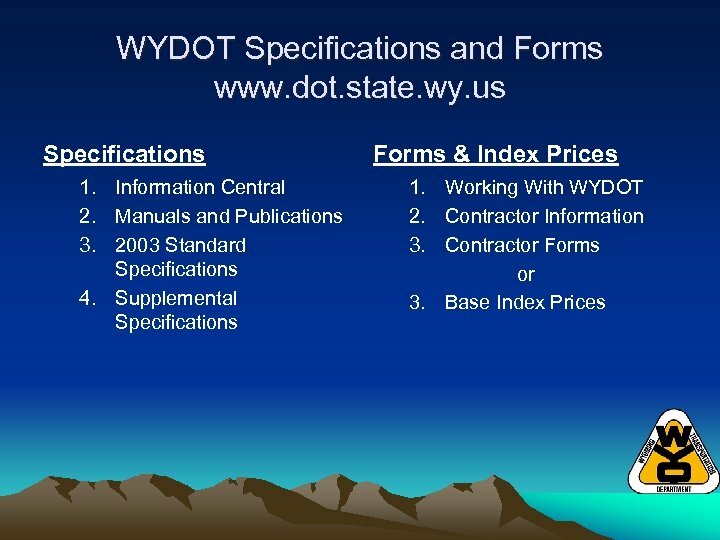 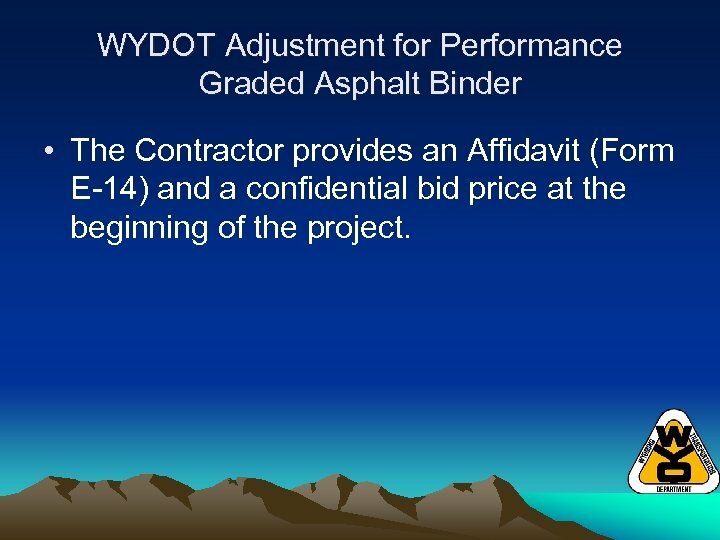 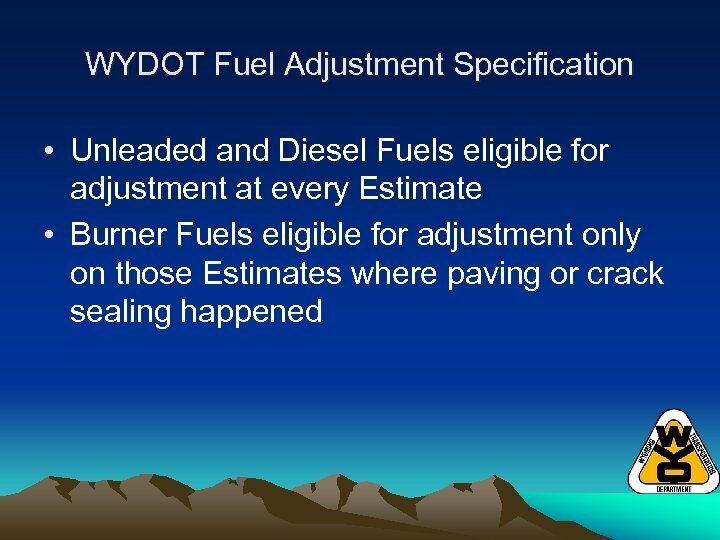 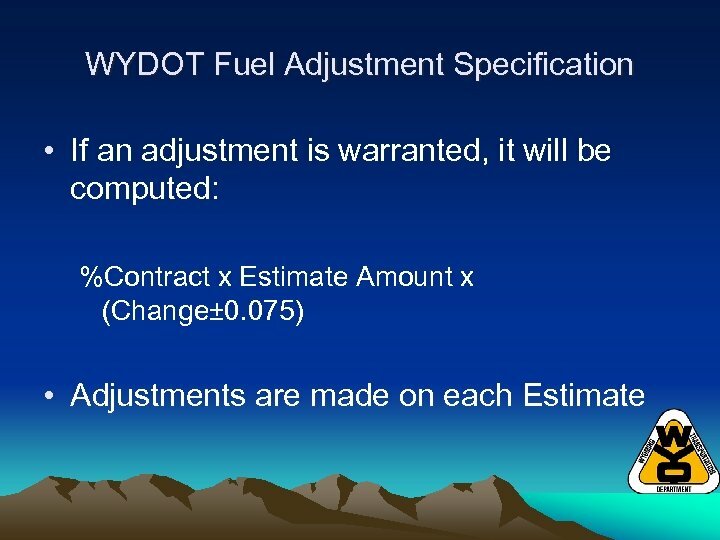 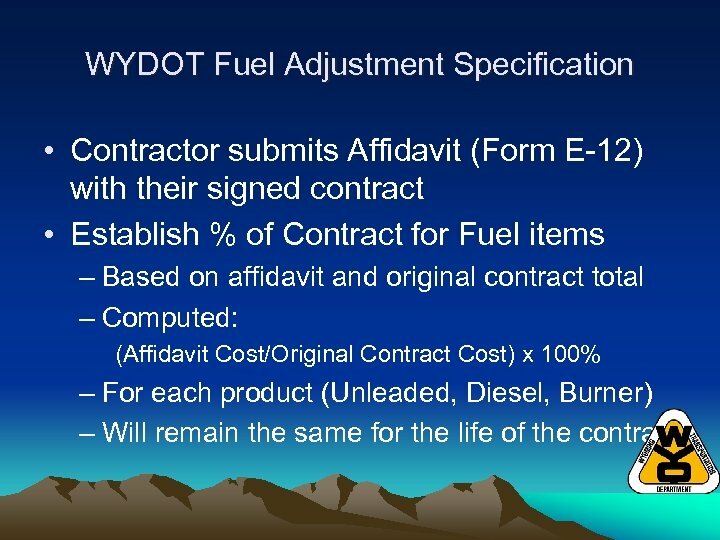 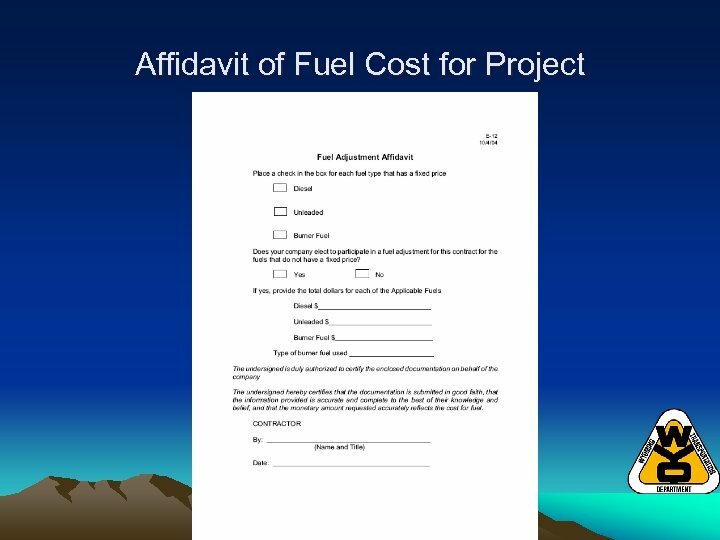 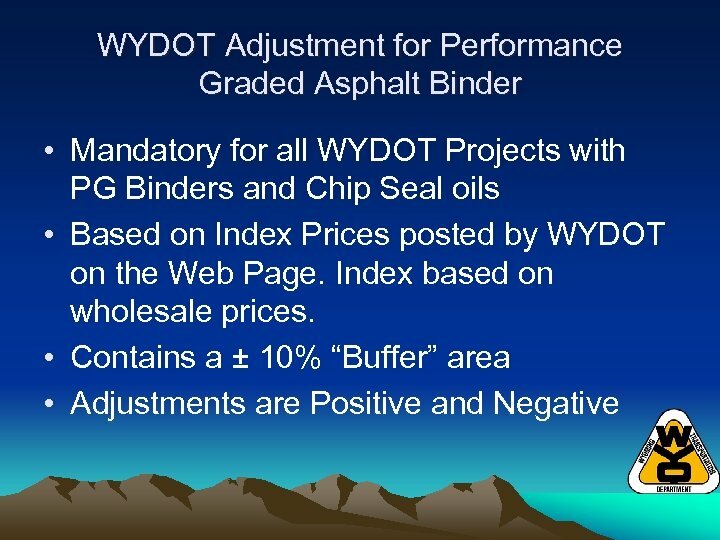 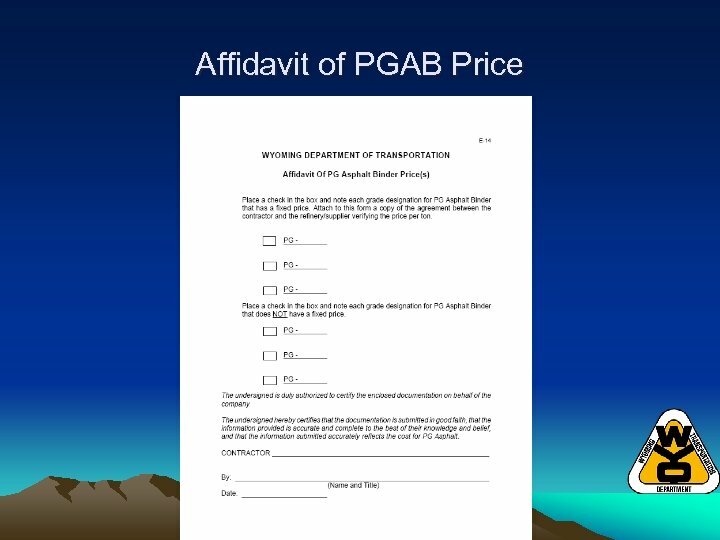 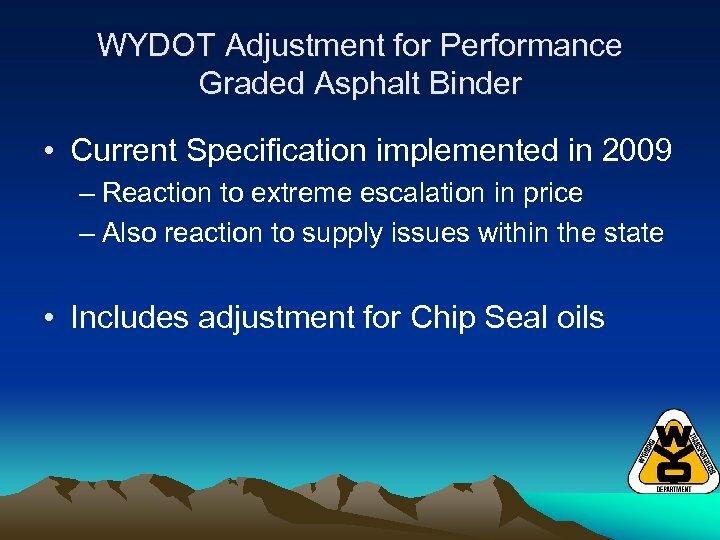 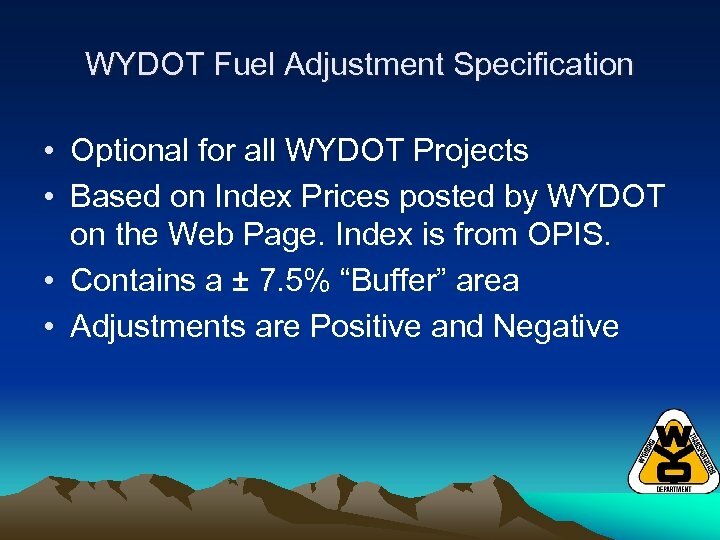 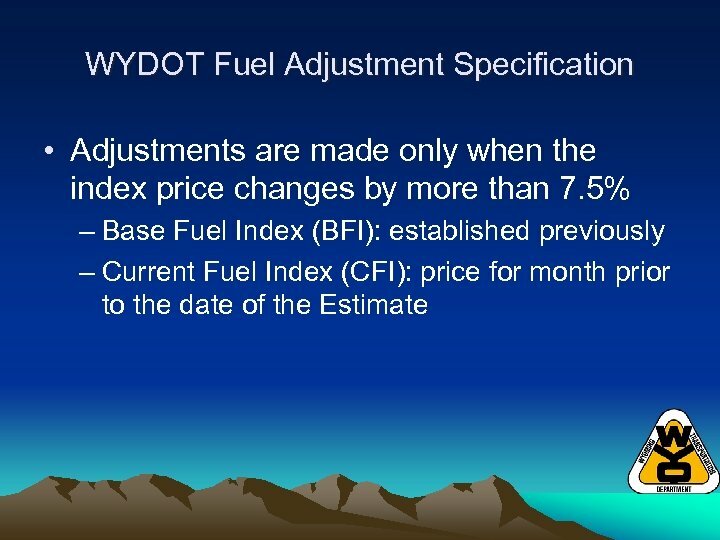 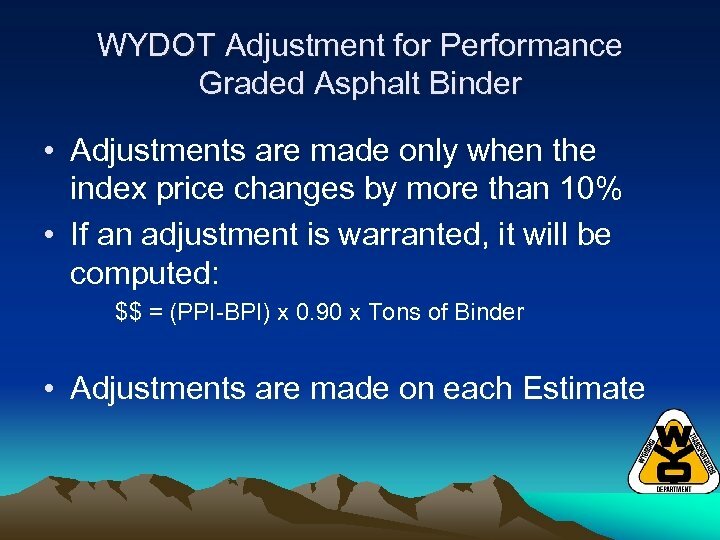 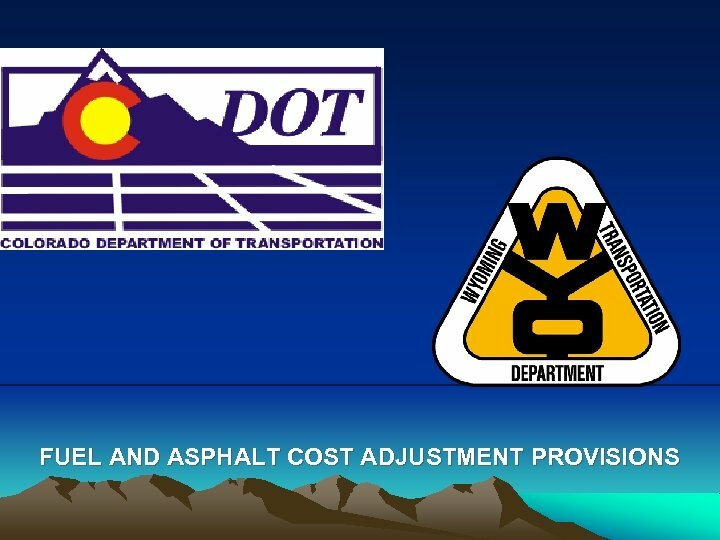 WYDOT Adjustment for Performance Graded Asphalt Binder • The Contractor provides an Affidavit (Form E-14) and a confidential bid price at the beginning of the project.